Composed by John Low. Solos, Style, Boxed, World Music. Grossman Guitar Workshop. African. DVD. Duration 85 minutes. Grossman's Guitar Workshop #GW932DVD. 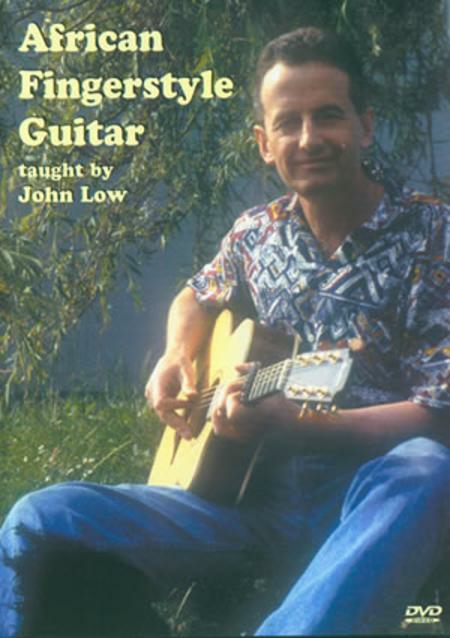 Published by Grossman's Guitar Workshop (MB.GW932DVD). The golden age of African fingerpicking guitar was in the 1950s and 1960s. The great players and recording artists of that time included Jean Bosco Mwenda and Losta Abelo from Zaire and George Mukabi from Kenya. Guitarists from other parts of the world have rarely if ever had a chance to learn their songs and playing techniques. On this video their arrangements are taught by John Low, who has lived, worked and studied with African musicians, including those mentioned above. There are some interesting links with American guitar styles but there are just as many differences, including rhythms borrowed from traditional African music and catchy up-beat patterns. African fingerstyle guitar is usually accompanied by rhythms played on a bottle. John Low is accompanied on this DVD by Frans Maathuis and Keith Jackman on bottles. A detailed tab/music instructional booklet is included as a PDF file on the DVD.